On the first day of the tour, you will travel from Madrid to Toledo and Segovia in a comfortable bus with an expert local guide. Stepping into Toledo is an exhilarating experience as you marvel at the elegant Gothic and Renaissance buildings line the narrow streets of the city, that takes you back in time. 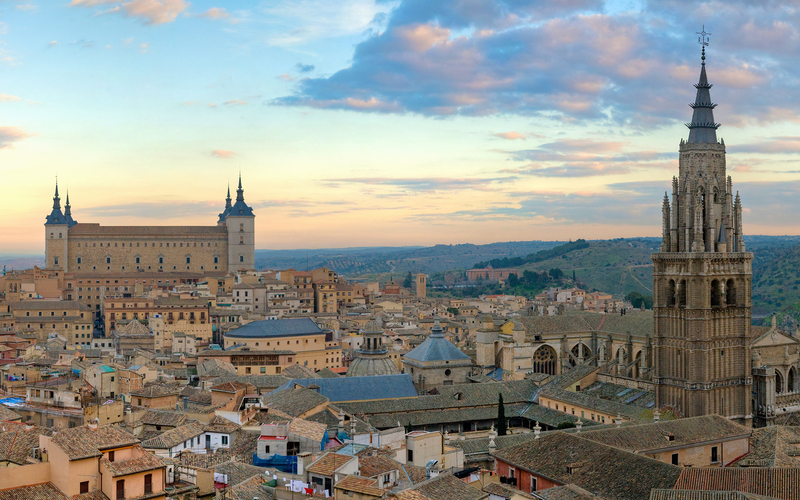 The Toledo Cathedral and the Alcazar of Toledo are two of the most popular attractions here. You will also get to visit Mirador del Valle, the Monastery of San Juan de los Reyes and Puente de San Martin. 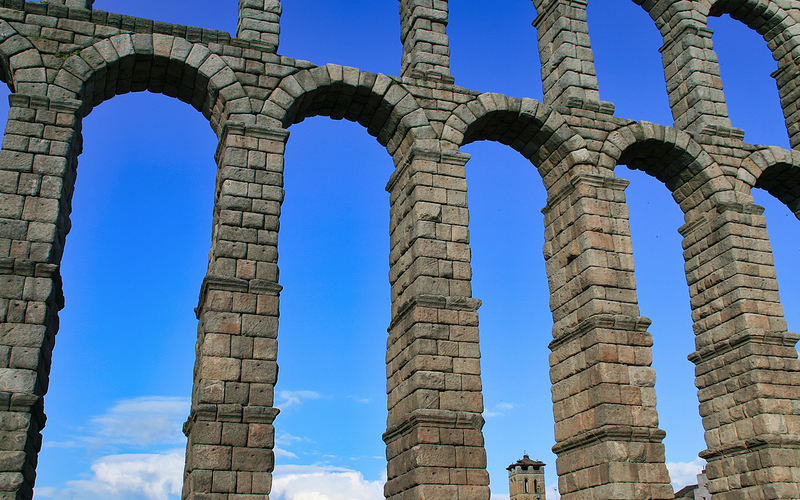 In Segovia, you will get to know the aqueduct, the Alcazar and the Cathedral of Segovia. 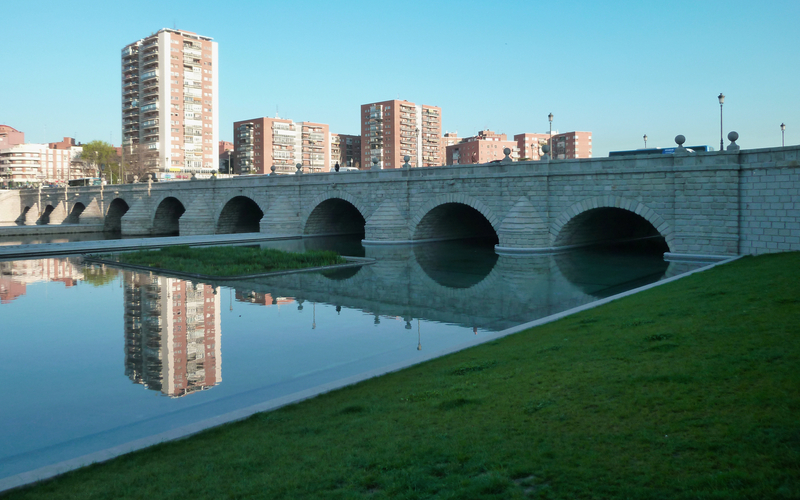 The aqueduct was about 15 km long and supplies water near the actual marsh of Revega. You will also get to visit the Azoguejo Square, which is the best known and best-preserved area. The next day, you will visit the Royal Palace of Madrid, the official residence of the royal family of Spain. 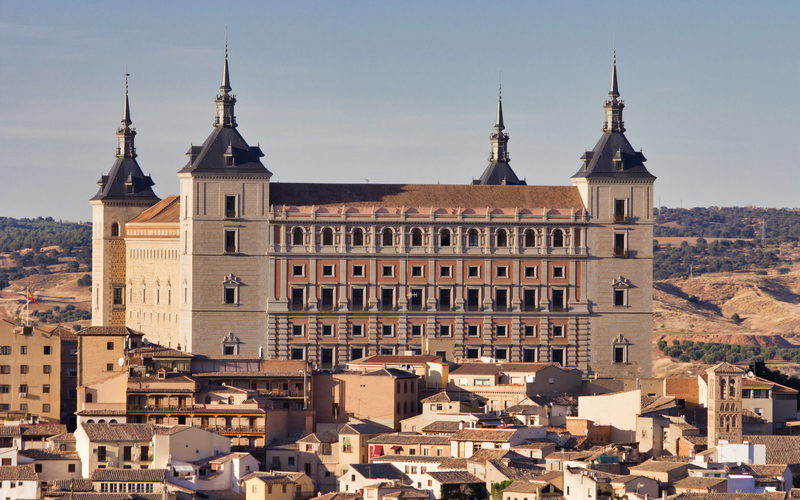 A tour to the Royal Palace is an opportunity to witness the opulence and splendor in which royalty live their lives. The tour will also include visiting the exhibits that include official lounges, royal armories, and the royal pharmacy. You will travel from Madrid to Toledo and Segovia in a comfortable bus with an expert local guide. 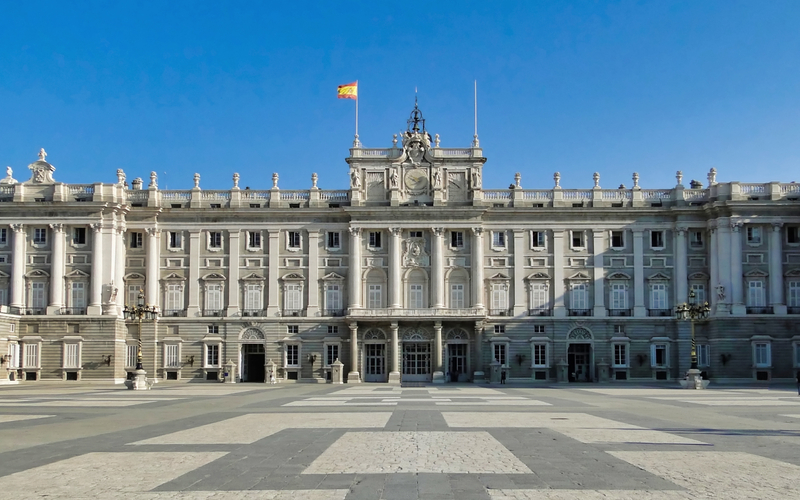 Enjoy a tour of the Royal Palace, the official residence of the Spanish Royal Family at Madrid and visit the different chambers of the Palace including the Official Lounges, the Royal Armories, and the Royal Pharmacy. Day 1: 7:45 for Toledo and Segovia. Day 2: 8:30 for Royal Palace. The tour on the first day lasts for 11 hours for Toledo-Segovia. The tour on the second day lasts for 1 hour and 30 minutes for Royal Palace. April 1-October 31: Monday to Sunday. November1- March 31: Monday, Wednesday, and Friday. This tour is bilingual. Your tour is available in English and Spanish. Plaza Las Ventas in front of Julio Camba Street no1. By Bus: Board the #21 to the Ventas bus stop. Your meeting point is a 1-minute walk from the stop. By Metro: To reach Julio Camba Street no.1, you can take the green metro line and get off at the Ventas station. Your meeting point is a 1-minute walk from the stop. Square Opera, in front of the Statue of Isabel II. By Bus: Board the #39 to the Opera bus stop. The Opera metro station is in front of the bus stop. By Metro: To reach the Opera Square, you can take the metro red line (L2) and get off at the Opera station. You will receive an email confirmation along with a voucher shortly. You need not print your voucher. Please display the voucher on your mobile phone along with valid photo ID. Transport to Toledo and Segovia from Madrid. Entry to the Royal Palace of Madrid. Entry to Alcazar of Segovia.